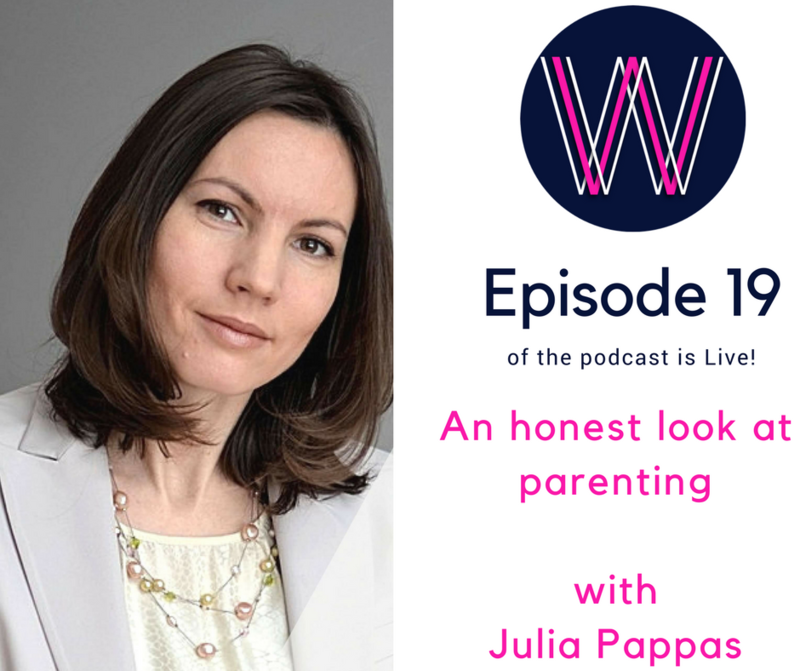 This episode I chat to Julia Pappas – a psychologist, parenting coach, and the host of the podcast Minimum Viable Parenting. As working parents, there’s always guilt that we’re getting it wrong. How much time is OK on screens, and why there’s a direct correlation between social media usage and depression. We discuss boundaries, attachment and examining the expectations we have of ourselves as parents. Speaker 1: 00:00:00 Welcome to Working Women’s Wealth where we discuss what it takes to build real wealth in a way normal humans can understand. Here’s your host, Lisa Linfield. Lisa Linfield: 00:00:21 Hello everybody. Today I am joined by Julia Pappas. Julia is one of those people that all us need in our lives. She is both a psychologist and a parent coach, and she has a podcast called Minimum Viable Parenting. Thank you so much for being with us today, Julia. Julia Pappas: 00:00:39 Thank you for having me. I’m excited to be here. Lisa Linfield: 00:00:43 It really is a Godsend to have someone like you in our lives because the challenge about parenting is that as many human beings as there are in the world, are their opinions as to how one should parent, and especially if you’re a working woman. So the question I have for you today is why did you start Minimum Viable Parenting? Julia Pappas: 00:01:04 Well yes, exactly because of those multiple ideas, multiple suggestions, and people getting lost in all that chaos of information that they’re getting from all over the place. So also just to clarify some of the points that my clients were not very clear on, and needed a few reminders and just show where I stood in the way I perceive the framework, the way I work with them, the core principles of my work, so all of that was best delivered in a podcast format, so that’s how it all started. Lisa Linfield: 00:01:35 And are you a parent yourself? Julia Pappas: 00:01:37 Yes I am. I have two kiddos who are not as little anymore. Lisa Linfield: 00:01:42 How old are they now? Julia Pappas: 00:01:43 So I have two teenagers which is unbelievable. So whoever has babies now, don’t blink, because it does fly by. Yes, so two teens, a boy and a girl. Lisa Linfield: 00:01:54 Oh goodness, so you have a lot of experience in terms of many of the challenges that those of us with twin six year olds and a 10 year old might be going through. Julia Pappas: 00:02:02 Absolutely, and anything before that, because clients I work with have ranges of ages and stages. Lisa Linfield: 00:02:10 So your title is very interesting. What is minimum viable parenting? Julia Pappas: 00:02:15 Thank you for asking. So it’s a framework that I use when I work with parents, and it evolved from the concept of minimum viable product which is in the business world to mean the minimal set of features that something has that can be brought to market and be usable. So the basic concept of my framework when I work with parents is to deliver the immediate basics that are needed in order for the parent to start figuring out what do they need to do in different situations. So that’s how it basically evolved. That’s the name Minimum Viable Parenting to indicate that there’s some minimum, not to indicate to put minimum effort, but there are a minimum set of skills you need in order to be successful. From there on you can basically add a different skill or more bells and whistles if you will, different strategies. But behind all those strategies, there are some core principles that can hold your parenting work together. Lisa Linfield: 00:03:15 It’s fantastic to know that, because most of us go into parenting with very little idea and structure around how we’re supposed to think about this parenting thing. One minute we’re loving our husband, and the next minute there’s a baby, and suddenly you’re expected to know how to raise these poppets with no framework on which to think through so much of this. And in addition, the husband comes from one way of parenting, and the wife comes from another way, and many times they’re opposite each other. Julia Pappas: 00:03:42 Mm-hmm (affirmative). All those are common challenges, absolutely. Because a lot of the times you step into parenting not knowing what to expect, and it’s all new no matter how many books you read. It’s all going to be very new. Lisa Linfield: 00:03:55 Absolutely. And I always say the return about all those books that I read, is that my child didn’t read any of them either. So, it didn’t quite work, and she hadn’t learned that she wasn’t supposed to be eating now, or crying, or doing anything else besides being the perfect child. Julia Pappas: 00:04:09 Yes, exactly. Lisa Linfield: 00:04:10 So what are the three parenting essentials that underpin a minimum viable parenting strategy? Julia Pappas: 00:04:19 So there are three key components, and these are your parenting values, and when I say parenting values, it’s basically your personal values the way they translate into the parenting. Then the second part is nurture, basically understanding the needs of those who are involved in that parenting dynamic. A lot of times we think from the child’s perspective alone, but what I invite parents to do is to really focus on whether they’re meeting their own needs as well. So nurture takes into consideration both the adults and the children in that dynamic. Then the third one is boundaries, and I do talk a lot about that, because if we’re thinking about the way that we used to function before kids come into our life, that means we had some kind of concept of our world, our identity, all of that has sort of a boundary around it. Our personality comes with, it’s kind of a concept of who we are. It comes with its own boundaries. And then we step into the parenting role, and we’re trying to renegotiate who we are, and that is constantly questioned with the little human being that’s near us who wants us to be this or that but not the other. Maybe a playmate but not a busy working mom. Maybe someone who’s constantly there and observing rather than someone who has their own life as well. So kind of renegotiating what are those boundaries, but at the same time, for the child to grow up into an independent adult eventually because that’s the purpose of childhood, helping them develop those boundaries as well. It’s a very broad, very deep at the same time, topic, so there’s a lot of different layers to that. But the three components essentially are values, nurture, and boundaries. Lisa Linfield: 00:06:06 I’m loving the fact that you take into consideration the parents needs and nurture, because I’m absolutely hoping that somewhere in your framework is enough provision of the parents’ needs of gin and tonic; one, two, make it through the evening. Julia Pappas: 00:06:22 Yes, whatever our needs are, we cannot deny them. That’s where we start. Lisa Linfield: 00:06:27 Absolutely, absolutely. And I think that the challenge comes as that as you get closer to the teenage years, I’m working out that you need more gin and tonic in that needs category. So looking at those three, values, nurture, and boundaries, I want to look at each of them a little bit separately in terms of understanding the key topics of people today, and kind of work backwards. So if we look at boundaries, the challenge with boundaries is that they became quite unpopular through a large portion of our lifetimes where strict seems to have gone out of fashion, and giving your child the freedom to explore who they are seems to be the absolute most important thing that all of us need. And then you get told that you can’t be a helicopter parent either in all of this equation. How does one navigate such conflicting opinions between what that freedom can be and what limits you should put on your child, and then what boundaries there are? Julia Pappas: 00:07:25 Mm-hmm (affirmative). I love that you started there with boundaries. So the way that I approach this topic, and figuring out what is too rigid and what is too flexible, and who has a say and who’s in the spotlight, are we catering to the child or are we supporting the child? Are we allowing enough room for natural development to unfold but also setting limits? All of that, it’s hard to answer that question if we’re only looking at boundaries as it is. We need to integrate values conversation into that as well as the nurture, and you know talk a little bit more about that, but just to say that those three components, it’s almost like they work together at all times. They come together at all times to give us the right answer, whatever is the issue we’re trying to solve. I hope that makes sense. You know you could be thinking, “I value health. I value productivity,” for example, right? So I know that if I let my child, let’s say I’m talking about someone who is 12 for example. If I’m letting my child stay past their typical bedtime, and it’s not in the occasion that’s special occasion, there’s some event going on, but it’s kind of a routine we’re breaking, then I am miscommunicating the value of good sleep, of what it does to you the next morning. I am miscommunicating my understanding of the needs of the child developmentally to have that sleep, to have the routines, and so if I’m not setting those boundaries and limits, I’m sending the wrong message. And then when I want to come around the next day and set a different boundary and a different limit, my child is going to be confused. Kind of like, “This was allowed before. Why now we’re changing this?” So consistently is very important, but they need to be flexible at the same time, changing with the expectations and needs of the growing child, but always incorporating our values at the same time. Lisa Linfield: 00:10:12 So if I have a teenager who has continuously gone to bed late, and we haven’t managed to crack this one, and we decide to, if we engage and my husband and I are aligned, and we have this discussion with my teenager, how long does it take for this thing to come back into place? You know I remember with smaller children, there’s a period of time in which the adjustment has to take place, and then it becomes not a fight. But in the beginning it’s always a fight. What’s age appropriate for the kind of response of teenagers, having been able to go to bed at 11 o’clock at night and then not telling them that they need to go back to bed at 8:30? Julia Pappas: 00:10:51 Mm-hmm (affirmative). So I think the older the child is, the more they’re likely to push back on the limits we set, so definitely talking to them more about the nurture element of it all and the values is more beneficial than just being very strict with the limit. What I would say is the way to approach this, because you may be asking, “Okay, so if we’re not setting those boundaries, we’re giving them a lot of freedom.” We can set boundaries on the other end of it when it comes to the natural consequence. So let’s say the teen decides, “Well, I’m not going to go to bed. You can talk to me all you want, and I’m still gonna stay up late.” Removing things that keep them up late would be kind of the first limit I would go for, because naturally I cannot force someone to fall asleep, but I could start removing some of the things that are getting in the way. So if it’s a phone they’re on, or a computer, there is a time at which those things go away and leave their bedroom if they’re in their bedroom or not to have that at all, then the following morning having conversations about what’s the natural consequence of someone not getting enough sleep? I don’t remember where my binder is. I don’t remember where my this or that is. Maybe we’re rushed through breakfast. All those things we need to start passing it on to our growing teens and soon to be adults, and show them that the decisions they make have a certain outcome. That outcome, the more natural is the consequence, the more likely they are to see that this is not an enforced limit. It’s a natural limit in the world. The better you are rested, the better you are prepared for other things. So with different kids it may take longer or shorter, but the more consistent we are in showing where the natural limits and boundaries are, the more likely they are to adopt them. Lisa Linfield: 00:12:39 So I think that’s fantastic. I’ve never heard of it in that kind of a framework because the challenge that we all have as parents is that we try different things but if you don’t have a framework, you can’t apply to everything. So a group of us girls were out last night, and we were having this exact conversation about one of the moms struggling with teenagers who won’t go to bed. And I think it’s a fantastic structure on which to do it. You mentioned take away the iPad or the computer, whatever it is. How much time is it okay for children to be one these gadgets? Julia Pappas: 00:13:15 So again, it depends on the age of the child, and depends again on the kind of use it is. I tend to look at technology from the perspective of is it entertainment or is it learning, and a lot of the times, kids are smart these days, and if they want to have the access for longer, they will try to convince us that this is educational, when in fact it’s entertainment. There’s so many games out there that the small print would say, “Oh this is to train your memory.” Or this is to do this to you, and so the kids can say it’s educational. But again, what I would say is the older the child, the more time they spend on the gadgets, and just talking to them about the use and our expectations, so for teens at this point I’m talking. Their use is getting in the way of them getting other things done, spending quality time with whoever is in their social circle and family including. If they’re isolating themselves and the only joy is found in the gadget, that’s a problem. From that standpoint, if you need to learn something, if you’re doing some assignment or you’re doing something else on the computer that’s a tool, I always talk about that being appropriate. But if you’re constantly staring at the screen, clicking, liking, but it’s a meaningless activity otherwise, tomorrow you don’t remember what you were doing, that needs to be limited because it’s not very purposeful activity. So the challenge about it is that your general group around you never gets to actually see the signs and symptoms or delve deeper, and your conversation is never broader than the actual topic that’s limited on the screen. For me I guess it makes sense that it’s a hugely isolating thing this social media, even though you’re supposedly even more connected to more people than you ever have been. The depth and quality of those relationships it appears seem to be so limited that nobody sees the signs and symptoms of a person feeling hugely lonely because in reality, nobody really can answer if someone says, “What’s up?” Or “How are you?” You’re going to answer, “Fine.” Whereas if you’re either looking at a person or speaking to a person, you can tell by the tone of their voice whether they are actually fine or whether there’s a slight problem. What are your thoughts on that? Julia Pappas: 00:16:22 Yes, I absolutely agree with everything you said. The challenge of social media, especially in this vulnerable age, where kiddos are still figuring out who they are even if they start to feel more independent and ready to kind of explore their new identity. Social media is providing them with quick illusion of a connection, a quick success, you know? I have this many followers or this many likes, or this many clicks, and that creates the superficial impression of, “You should be doing fine. Look at all this.” Then when you still feel empty, somewhere deep down you feel misunderstood because, like you said, no one really inquired about how you’re doing, and no one really asked about something you did yesterday, because that’s all news on social media, right? No one asked about your pet or whatever else is going on that you were mentioning because in that vast and scroll and click away and click onto the new thing, there’s no way that we can, like you said, connect on a deeper level. It’s almost like going through a hall in a high school and you would have all these people around you, and everyone is giving you a fist bump or a high five or a little nudge. All of that is acknowledgement of you, but it’s not really indicating someone really seeing you or really hearing you. There’s no depth to that, so even in the natural world, we would not be satisfied with that kind of interaction but somehow we think that online, it’s somehow satisfying. It’s not. It’s an illusion, and the fact that you can quickly connect with someone doesn’t make it a deeper connection. You can connect with whoever you want, but it’s not going to give you the depth because it’s just not allowing for it. Julia Pappas: 00:18:59 Yeah, I wonder the same thing actually. I think, to me, it’s really the connection is not meaningful. It’s not going to be implanted in your mind. This whole idea of attachment that we only talk about when it comes to parents and the baby connecting and creating the bonds of a relationship, somehow we think it doesn’t apply later in life. It continues to be important because we are social creatures, and nothing will substitute a real connection and the warmth of that. So thinking would you enjoy a meal, or would you just watch somebody else enjoy a meal? It’s kind of like we’re assuming that just because we are watching someone’s experience, we have it ourselves, and it’s not the case. So the same happens for anything else that happens online that’s not part of your real world. The more different those two realms are, so let’s say a teen is completely isolated in their daily life, but online has huge activity but in real life cannot connect, with time, that dissonance will create a lot of emotional challenges for that teenager because you cannot bring that virtual world into real life. You know, here we are recording a podcast, but you and I have connected before. It’s not like we’re completely invisible, digital people, right? And connecting with our audience as well, those who are listening, we try as much as possible to connect with them and have quality conversations whenever possible. But in our outside life, we’re completely disconnected. There is this cognitive dissonance that gets created in our mind, and the younger a person is, the less able they are to deal with that kind of cognitive distance from what they want and what they’re getting. Lisa Linfield: 00:20:50 That’s fascinating. 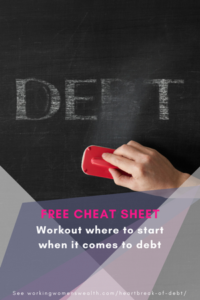 You know one of the challenges about this whole thing, is that we as working parents get this to some degree, but yet when it comes to the nurture side, and the two sides of the coin, we also need to work and we sometimes need to have time off. So I know my rule of no iPads, I have to confess. It changed when I worked out that if I let the girls have iPads on a Saturday morning and a Sunday morning, I might just get a little bit of a late lie in. So my need for a late lie in was traded for the babysitter of an iPad. How do us as working mom, and especially those of us who are working moms who grew up with a stay at home mom, how do we get over the guilt that we aren’t always around, that we might not see what goes on while we’re at work, that these deep connections we know our children need, there are times when we skim the surface because our work is hectic. The pressures on us are hectic, and actually we have got nothing left to give at the end of the day, and we have that moment where we drive into the driveway, and we think, “Oh, I hope nobody’s going to come and ask me for anything.” And at that minute all your children descend on you. “Mama, mama, mama, mama, mama.” How do we manage that guilt in light of the fact of how truly important it is to have these strong connections with our children? Julia Pappas: 00:22:23 Well, I’m glad you’re asking this, because actually everything we’re doing when we’re working, it does not necessarily override the nurture component of our parenting. We just need to understand how it fits in, so we are not confused anymore. Because guilt is actually a misalignment of what we think we should be doing and what we’re doing. So what we think we should be doing is often guided by some idea, some shoulds and musts that we’re not clear where they came from. So it really comes from a place of confusion of who’s goals and standards those are, whatever we feel like we’re not performing to, and then looking at what’s the compromise? Is there really a compromise going on? Am I really not giving the kiddos what they need when we are at work? So it takes a little bit of closer looking into what’s going on to say, “Why am I feeling guilty, and what does that feeling tell me, and what do I do with that feeling?” So just to give you a little bit of an example of how I would be going about that. If we’re saying, I don’t have as much time to spend with my children, then understand who said how much time is enough? Let’s say we’re concerned that not giving them enough time somehow is not meeting their needs right? So that nurture element. We’re feeling like we’re not in that element because we’re working way too much, and our kids are not getting as much as we think they should be getting, as how much time they should be spending with us. So I would go back to, “What is my heart telling me? Am I really wanting to work?” Because that speaks to my own need, and I cannot neglect my own need in favor of some standard, and the kids are very flexible as long as they see us showing up, whatever that means, in whatever capacity. They’re flexible. They’ll work with that. They can also, I mean you’ve had this situation obviously, but it takes our own comfort and knowing that we are meeting our needs and the needs of our children at the quality level that we can, even if it’s not at the same quantity we would want it to be. But really in life, where do you get the quantity of everything you can think of? Do you ever feel like you’ve gotten everything you’ve ever wanted? We would be done and not needing anything, right? We would have no needs at that point, so there’s always some room for growth. There’s always some room for wanting more. There’s always a need that we have, so I mean we can make ourselves feel guilty for not reaching that next milestone or feeling like we’re not perfect. We haven’t got it all together, but it’s not really helpful, because when we’re feeling guilty, it’s going to make us disconnected from our kiddos. Instead of spending quality time with them, and saying, “You know I have 10 minutes today, and I’m going to ask them how their day was.” If I’m feeling guilty, I’m not attending to that need, and those 10 minutes are spent with me saying, “Oh maybe I shouldn’t be working that hard. Maybe I should be changing my job. Maybe my kids feel like I’m a bad mom,” so all of those thoughts are replacing an opportunity for us to connect, so no one is really benefiting from that. Does that make sense? Lisa Linfield: 00:25:45 It does make sense. You know I remember myself when I had my first child, and she had more and more school activities as she grew older. Around five years old, feeling exceptionally guilty as those shows and ballet and swimming and things like that started getting more into place, and feeling hugely guilty about the fact that I was working. When I did some reflection in line with what you’re talking about, the thing I realized is that, I had grown up seeing my mom at every one of my performances. She was there at the ballet. She was there at the singing. She was there whenever I needed and I had an expectation that I as the mother should be there at everything that my child does. Then when I looked at it in those days, my dad wasn’t able to come from work and watch us, and I look at the fact that in our relationship, my husband has stepped up, and he does some of those things, so if we look back on Jace’s 10 years of life, they are very very very few occasions where there’s been no one there for her. In fact, I think I could probably count them on one hand, and it’s either been myself, my husband, or my mom who has stepped in and been there. I look at it, and I think, “Well, actually if I examine it deeply, I would have preferred a balance of my mom and my dad,” and my gran if she lived in the same country or the same town.” Then this should be there 100% of the time. It was only when I let go of that thing that I put on myself, that it always has to be the mother that’s there, that I actually started feeling, “Well actually it’s not only okay that John is there. It’s actually hugely beneficial for her that she grows up with multiple people supporting her in her life, that she doesn’t feel an absence of her dad or her gran in this whole story.” So it is hugely important. But I remember another technique when you’re talking about the fact that the child has an insatiable need. We all want everything all the time. I remember a great piece of advice we were given when we had a home invasion and we took Jace to a psychologist at the time, a trauma psychologist. We were chatting about the fact that she, as a little child, seemed to need a lot of time, and I never could give enough because I also had two, other children, and I probably spend 80% of my time with her anyway. And a great technique she said to her was, “Jace, I’ve just spent time with you doing swimming practice. Now it’s time to spend time with the twins. Would you like to join us?” And that constant reminder that we are actually spending time, because I think the other thing is that the kids say, “Well, mommy you never spend any time with me.” Meanwhile you’ve gone to the swimming practice or whatever you can get to, and they just conveniently forget all of the stuff. Julia Pappas: 00:28:46 Yes, because they want more. And they only want more because, again, it’s exploring the boundaries of what’s available. So it’s kind of like, “I want more. I like this. Can I have more of it?” And if we say sure, then we are making it okay. It may just as well be okay, depends on what boundaries we’re setting and what our needs are. So see the boundaries are all about figuring out the happy medium between the needs of the child and our own needs. I think the problem with guilt is that we draw the line too close to ourselves and are not giving ourselves the space to meet our own needs, and feel like we need to completely forget that we have needs, that we’re supposed to be completely almost non-human, be available 24/7, be emotionally available even when we are around all the time, have no needs of our own, just so the needs of the kids are met. Actually that may seem like it would be the perfect scenario, right? To give the child everything the child needs, or think that they need because there’s a difference between a need and a want, but if we continue feeding into everything, we’re not helping the child understand that as they grow older, some of the things will not be available and they will need to use their own coping skills to figure out what other resources are available and what can they make do with what they have? So if everything is always available, this is a critical life skill that they’re not learning. I would also say, who says what is actually enough? Who decides what is enough time to be spent with our children. What is enough pretty things to buy for our children? Really I think it all goes back to, are we parenting in alignment with our values, and if we are, there should be no conflict. But when we feel guilty, there’s a conflict between what the needs are, and what we’re actually doing. So the boundaries are somewhere in the wrong place where we’re not meeting the needs we have, or we’re not parenting with our own values, because again, feeling guilty is not a helpful emotion. It’s not telling us exactly what to do. It just tells us something is in misalignment. So again, it’s kind of like there’s an extra piece of cake. I’m a child. I will want that, so if I’m a mom saying, “Well you know what you’re telling me right now is that you really liked this dessert. Me too. I really enjoyed it. So about we have it again tomorrow?” And a lot of the time we feel guilty if the child starts pouting or maybe starts crying. But again, for the child, they’re testing the boundaries, but we sometimes interpret that as the child is showing us that they have unmet needs which is not the case. It’s a little complicated, but I hope it makes sense. You tell me. What do you think? Lisa Linfield: 00:31:39 It makes fantastic sense. I mean it’s hugely profound, what you’re saying because I think it’s a great framework to think about. Especially if you’re like most of us overachievers. The challenge with being an overachiever is that you want to overachieve at work, and you want to overachieve as a wife, and you want to overachieve as a mom, and you want to overachieve in all of these areas of your life. So it makes it a really difficult thing, because there are only 24 hours in a day, and when that child says, “But mom you haven’t spent enough time with me,” you feel like you’re getting a E grade on your paper. It’s a really challenging kind of thing, because you don’t get much feedback as a parent. The only feedback you really get as a parent is from your children. Maybe sometimes your husband will say, “Goodness, you’re a great mom,” but not all husbands have that many words in their repertoire. So it’s quite interesting that you define guilt in this context of values and nurture. Because for example, I value hugely that my girls grow up believing that they’re able to determine their own success in life, and part of that success is to be healthy, to do work that has purpose and meaning in it, to have friends and loved ones who are close to you. So it’s not success as in just work or just money, or just any of that kind of stuff. But if I value that so much, then part of me being a working mom, if I hear you correctly, is therefore part of living my values, and teaching my girls through example that work is part of personal fulfillment, because it’s definitely part of my personal fulfillment. I’ve worked part time, half time, this time, that time, but I’ve always worked because I know that as a human being, I’m way better if I can work, and I’m a better mom, and I’m a better wife, if I’m enjoying my work, and if I’m doing work that has purpose and meaning for me. But I think I must read the needs of my children, because I think that that, “Oh momma, you can’t make my gala today,” means that I’m being a bad mom. Julia Pappas: 00:34:01 Yes, and that’s a perfect opportunity to have a conversation with our children about the context of things, looking at a bigger picture when we make any kind of judgment, because that eventually will teach them to think a certain way as they go through life, taking something that is someone’s opinion, but taking it as a fact instead, and never questioning something. So when they have an impression of, “Hmm, you’re not spending enough time with me,” or “You’re such a bad mommy. You never let me have candy before dinner.” There’s a ton of examples of how kids can sort of put out something for us to react to. A lot of times that’s what they do. They’re supposed to explore the world, supposed to understand all this complicated human dynamics. So they will say certain things the may work as having a trigger for us, “Oh my gosh, what if she is right? OMG, what if he really means what he’s saying? What should I be doing about that?” But this is has to be taken as an opportunity to talk about, “Well, let’s see. What make you feel that way? : what make you say that? And not in a defensive manner, but really kind of with interest and openness because then you will get into these really helpful conversations that will bring you back to your values. So we value family time. I am really appreciate that you noticed that when I’m not around, it really makes you feel differently. But when I am, it’s even more special, right? So let’s make sure that we plan something to do together, so yes, maybe I’m missing this event because guess what? I’m doing something important for me, and that’s a good message too, because not everything we do is about our children, and that preps them for later life when not everything they do will be about that one thing, and not everything we do will be about them or other people do will be about them, because otherwise the world just begins to look like everything revolves around them, and even though it’s not the most comforting message for the child, it’s based in reality, and so it is naturally teaching them the boundaries of somebody’s time, somebody’s space, somebody’s availability. It teaches them to understand that just as you have a need to be around me, I have a need to be on my own or have a need to do something that’s important for me. But if you have some need at that time, let’s figure out how can we meet it in a different way, without me being there by your side. So again, teaching them to be resourceful. So their resource was mommy by my side, we’re playing together. We’re doing something together. Let’s take that, acknowledge that, but then teach them. What else can we find if we look around? Who else can you spend time with? Or how can you spend time on your own? How can you occupy yourself? And teach them being resourceful. But that, just taking that opinion they just expressed, and unpacking to see it’s not actually a fact, it’s how they perceive it, will teach them later on to take somebody else’s statements and look a little deeper into that. You know it’s kind of like what you said earlier, Lisa, by saying I want my girls to have their own standard of success, right? And how do we teach that if we’re not even considering another possibility when they say certain things. So if we are exploring what some opinions mean, we will teach them how to form their own ideas about what success is and what failure is in so many other things. Because those are opinions, right? They’re not always clear cut standards. So that’s how with … take those as really an opportunity to talk about more than just you not being available as a parent. Lisa Linfield: 00:37:47 There’s a concept that you have in one of your podcasts called Parent Burnout, and I don’t know about you, but when I was at dinner with the girls last night, we all decided that this moon, blood moon, new moon, blue moon, red moon, whatever the moon was, it must have been playing havoc because right now in South Africa, we’ve just gone back to a new year, so our school year starts in January, and we’re all two and a half weeks into the term. It’s always with a new year and the children have grown over the summer vacation, and you thought you had all of the school stuff and the uniform, and then they tell you that their feet no longer fit in the school shoes. And then the extramural timetable catches and somehow we’ve got to get them to ballet and hockey at the same time, and the morning is taken up by orchestra and violin and swimming in our household. So we’re at school at 6:15 in the morning, and your own work has also just gone back after vacations, so you’re already three weeks behind because life doesn’t stop while you’re on vacation. And we sat there and looked at each other, and just decided that we over this whole adult parenting thing. And when I was researching, and I saw this concept of Parent Burnout, I thought, “Oh my goodness gracious me. There’s a woman after my heart. She’s got a term.” I call it that I’m over-adulting. I’d like to run away and hide. What is, as a psychologist, so not as all of us that parent burnout involves a glass of wine, a lot of friends, and trying to run away and hide? What as a psychologist is parent burnout? Julia Pappas: 00:39:26 Well, it’s kind of what you just described right? But it comes in these invisible waves, and if we don’t notice it early enough, it’s going to become a problem. Burnout if you think about it, it’s very close to another, job burnout kind of idea. But it’s slightly different in the sense that on the job, you’re not as emotionally connected. I mean you are socially connected, and it’s purposeful work. It’s important work, but you’re not feeling obligated to serve to whoever are the people around you, to meet their emotional needs, meet their other needs other than your duties at work. But when it comes to parenting, if you are constantly not emotional and physical, and all these other ways of supporting your children, that puts an enormous amount of stress on us. Stress is not a bad thing per say. Its’ only that when there is no respite. So when we exercise, we put a lot of stress on our muscles, right? But we don’t exercise all the time, non-stop. We make sure that it’s done in moments of time, and then there is time of rest, otherwise we will injure ourselves, right? So when it comes to burnout, it’s basically getting to the point where there’s nothing more to give, and the only reason we get there is because in the meantime, while we give, we’re not replenishing our own energy. So on the job, you can quit if there’s no way for you to take a break or maybe switch teams, or work in a different department or ask for a different project. If that’s not possible, you may consider quitting the job. If you’re in charge of the work you do and you’re feeling the burnout, you can sort of renegotiate your priorities at work and maybe after a very intense project, you take up something smaller. But with the children, and especially when you have more than one, it’s a constant give give give, especially if you feel that guilt on top of us, we will give more than we will ever think of replenishing. So sometimes we feel like that’s a natural thing. It will just come back on its own. We’ll just go to bed, maybe have some gin and tonic, and that’s the magical potion, but it isn’t right? Because it’s not giving us back the emotional strength, we feel depleted and then just … The signs of burnout are getting irritable with the kids, wanting like you said, to run away, I’m done done this, and every once in a while we have that. And if that signal is noticed, and we deal with it, we can talk about that, but if we deal with it, it comes and goes. If we don’t deal with it, then it builds up. It doesn’t go away. It just builds up, and then it just backfires, so a lot of the times you would seem to reach a point where they’re doing things they are regretting, you know? There maybe some aggression in the home. There may be depression where you’re withdrawing, and you’re not able to deal with things at all. So wouldn’t it be better to take it one step at a time, reevaluate what are the stressors, and what are sort of, going back to the nurture, what are the missing elements we as parents need? Because to fuel somebody else’s life, so to support our children, we need to feel and support ourselves. Lisa Linfield: 00:42:51 And what are those steps you can take? Julia Pappas: 00:42:54 Yeah, so if you like to work, that would be one of those things. A lot of the people feel like once they become parents, they have to be at home or else the kids will not be okay. But then they constantly miss work, miss important projects they were doing. So that’s where if there’s no personal fulfillment in your life, burnout is more likely to happen. In other places it could be basic self care. Are you sleeping enough? Are you eating well? Are you getting enough exercise? The other aspect could be social. If you were meeting with your girlfriends every once in a while, but then completely stopped because of the crazy life and how it all became, then reconnecting with those people. And really going back to that nurture element and looking into what are my needs, and being honest. That’s the hardest part, I feel like to do. To be really really honest in what place are we? Are we still able to run at full capacity, or are we burning out? Because once we reach that point, it’s very hard to be there for your children. Does that make sense? Lisa Linfield: 00:44:05 It absolutely does. It makes me feel less guilty. Let’s put it that way, because I think there are those tools that are actually around and easy to put in place that I think we don’t because of guilt, and just last night, I have two different dinner clubs that I go to, and I had one of them last night. Just before I went out, I have to say I think there was nothing in the world I felt like doing less than going out for dinner, because I was so tired, and so exhausted, that I could’ve just gone to bed. But I laughed so much from my belly that the energy I felt once I’d come back from an evening with the girls, was huge, and I was just thinking to myself, “Actually we have to make sure that we prioritize this time, because it really does renew and energize you.” I mean to go completely exhausted and come back completely energized, it doesn’t make sense to a normal human brain except in the fact that I think we need it, you know that fun and ability to laugh with other moms, and shake your heads at us and what we used to be, and what we spend our time now. It’s priceless. Julia Pappas: 00:45:46 To be able to finish a thought in your head. Lisa Linfield: 00:45:49 Absolutely. The biggest thing I’ve always loved about work is being able to finish a cup of coffee while it was still hot, and a bowl of cereal before the whole thing had gone squishy and squashy. Julia Pappas: 00:46:00 Yes, the new mark of success, right? Lisa Linfield: 00:46:02 Absolutely, and I’ve got very low standards for it. I’ve got very low standards of success, and one of the ones that I’m really looking forward to is being able to have a bath without the girls walking in and poking my breasts and my legs, and asking me why my tummy wobbles so much and things like that. And being able to go to the toilet by myself is also quite a high goal of mine. Julia Pappas: 00:46:25 Quite an accomplishment, yes. Lisa Linfield: 00:46:27 And I think that’s one of the challenges, I mean I don’t know because I don’t have a teenager yet, but I think that’s one of the challenges is there is a physical element that one can look at physical space to be created when you have young kids. But I guess because I don’t have them, that in teenagers, I observe in my friends who do have them, that one of the challenges is a much bigger emotional stress. I see it almost like they’re rectangle, which is actually two triangles of physical and emotional where little kids are 100% physical and not much emotional strain, and teenagers are 100% emotional strain. They don’t really need you physically like a child needs you. I think the challenge with that, is that it’s more difficult to remember that you almost need an emotional fill up for emotional strain, and a physical fill up for physical strain. Julia Pappas: 00:47:27 Yeah, and like when you were saying that you came back from having time with your friends completely re-energized, and you said how it’s almost like, “How does it make sense?” The reason why it does make sense to someone like me is because I see that energy is not just physical, but emotional energy depletion will have physical symptoms. So it will also have cognitive symptoms as well; not being able to focus, not being able to find the right words to finish a conversation. Do you ever feel like, “Oh my gosh, I just want to say something.” And, “Where am I now?” Right? Lost the train of thought, and if it happens all the time, those are the signs that we need to do something. When we’re physically tired, usually it’s, you know we need to sleep, we need to eat, maybe we’re dehydrated. One of those things, right? Those things should bring us back to our physical energy level, but if we’re emotionally very low, and getting close to burnout, these things would not be helpful, and you would notice. That’s a red flag, there, so if you’re feeling exhausted, but the sleep and the good nutritious food is not helping, those are the signs that it’s more likely emotional energy is low, and not the physical, even though it will have physical symptoms. Lisa Linfield: 00:48:44 And what things can you do for emotional energies being low? Julia Pappas: 00:48:48 So acknowledging the fact that among our needs in that nurture element we have more than just physical needs. When we become parents, a lot of the times we stress over what the child needs and all of that, and we think that our needs are just about to get sleep, to make sure we eat, to make sure we shower, right? But those are all physical needs, and we forget that, “You know, it would be nice to just sit with a cup of tea and maybe listen to music, maybe read a book, or meet with our friends, just sit by yourself and not worry about anything.” Those are emotional needs. Maybe doing something fulfilling, just because you want to, not because someone asked you to do it, or there’s some other added benefit besides feeling good about what you do. The emotional energy will come back from things you enjoy doing. Lisa Linfield: 00:49:39 This afternoon I was at my six year old’s, one of their friends’ birthday parties, and we were talking as moms there on this concept of having a weekend away with your husband alone. And one of the moms just said that she felt like that just couldn’t happen. She had very young kids and all of that. It’s one of the things that John and I have always done is our anniversary is in June, and our major summer holiday’s in December, so it’s I guess six months away from the big holiday, so it’s a mid-year break, and we always book my parents a year in advance. I give notice that next anniversary, they have my kids and the two of us go away for three nights and four days, and spend that time together. This year we were fortunate enough to go to Greece for a friend’s birthday, but we also took it as our anniversary. It was also middle of the year, and I remember we’d had a really tough year, and we’d had a lot of deep and meaningful conversations and when we came back from there, my friend said, “How was the trip?” And I said to them, “Well actually, it was divine. John and I never had one deep and meaningful chat. We were like normal adults were before the days of responsibility and parenting. We looked at amazing buildings and talked junk and chatted about the food we were eating and we’re just adults,” or just two adults, almost like pre-children. Because we didn’t have deep and meaningful, and we didn’t have children interrupting every conversation, and we could be like two adults looking at an amazing country and sharing an experience with each other, and it was transformational for our relationship to take that time out. And I think we’re better parents because we take that time out for it. Well, again, there may be a challenge in meeting those needs a certain way. Like not everybody maybe can go away, or find childcare for a weekend, but what can you do? I would look into places that are possible. Maybe there’s another mom you could swap kids with, and just do it for each other. I’m sure if you just start looking, there is a way to make space and time for yourself. Lisa Linfield: 00:52:58 And also I think we’re terrible at asking in our generation. I don’t know why or where we got a memo that was handed to all of us that said we’re supposed to do this thing by ourself and be completely self sufficient. Lisa Linfield: 00:53:15 We all said to this mom who doesn’t have any family nearby, “It is the most important thing for your marriage. We’ll take your kids for the weekend. I mean really. Just hand them over.” And it doesn’t matter how young they are. We’ve all had young kids, you know? It’s hugely important, and just ask. You know I remember we were in a position once where John and I both needed to go away, and my parents weren’t around. I asked a very new friend of mine to have the twins, she had a daughter in the twins’ class, and they were in kindergarten. She had the twins for the night, which is a massive ask, because asking anybody to have one four, five year old is one thing, but asking to have two is quite a whole different thing. And I asked, and she was so gracious about it, and she said, “Absolutely. Go for it.” And we were able to go for a wonderful, you know we split it so that it was only one night, but it was one of my closest friends’ party. And we were able to go. I thought to myself afterwards, “Why did it take so much for me to ask?” Because if she asked me the exact same thing, I’d have all four of her children regardless of the fact that they are two much, much older ones, and two much younger ones. And the thing about this whole thing, is all of us need the break, so the circle turns in two seconds where if you have asked someone, you’re able to reciprocate for them, and then give them a weekend off. Julia Pappas: 00:54:35 Or maybe help in some other way. You know maybe it’s someone who does not have kids, so you’re not going to be babysitting for them, but you could help in some other way. I think the point here is really to look broadly at other ways of meeting our emotional needs. It all starts from acknowledging that they are there, that just by becoming a parent, those needs did not go away. They only became, if not even more urgent, more front center, but something that we need to attend to. The reason for that too, besides it being important for us, it’s important for our kids to see us being balanced, you know, happy, whatever that means for each one of us, but being balanced, composed, grounded, and that feeling of calm when you have your emotional energy where it needs to be, is really supportive to the child who could be going through a gazillion different things, and be unhappy about different things. But if they sense that calm presence from us because we are nurtured and taken care of, then we can help them get through this, because again, it’s not of what we do or what we say, it’s how we feel because kids pick up on that. Lisa Linfield: 00:55:55 I always used to say to my employees, and I say it to my children as well, is it’s not what you say, it’s how you say it that matters. Julia Pappas: 00:56:02 Yeah, yeah. And how you say it is how you communicate your emotional energy through what you do and say, right? So again, to be able to deliver it in the way we want to, we have to be fed emotionally, and I think just like you can have any number of nutritious meals, and it doesn’t need to be a specific menu, the same goes for our emotional needs. It could be a number of different things to meet our emotional needs. It doesn’t need to be a specific menu. We’re all different people, so for somebody it would be, “I just need to have a laugh with an adult. I just want to have an adult conversation.” For somebody else it would be walking alone, just going for a walk and not having a toddler behind you. All these different things that, all it takes is just to sit down and explore, “What was I doing before I had kids? Okay some of those things will not be possible right now, but what is?” It’s not about not being aware of what our needs are. It’s about giving ourselves permission to look at those needs and meet them, if that makes sense. Lisa Linfield: 00:57:06 And I also think one of the hugely important things is to invest in your marriage because I remember when I grew up looking at some friends of mine and feeling very jealous because it was clear that they were the center of their parents’ universes. And my parents always brought us up with a clear understanding that each other was the first priority, and that we fit into the family rather than the family fits all around us. I remember thinking it was terribly unfair, you know? As a nice selfish teenager, you know? Why can’t the world revolve around me like it did for certain of my friends? And having watched over the years, my parents have the most fantastic relationship, and have survived many really difficult situations. Some of those friends, their parents are no longer married because they didn’t spend enough time investing in the relationship. Julia Pappas: 00:57:58 Yeah, and if you think about it, you got married because that person is emotionally fulfilling for you. Spending time together does not drain you. It fills you up. So why not look to that relationship right away. That’s so within our zone, right? We don’t need to go far for it. It’s within our zone. How can we reconnect. A lot of the times it’s just like, “How many opportunities do we have that we’re missing?” Just like looking into each other’s eyes. We’re not talking about going out to dinner which may not always be possible, but five minutes here, five minutes there. Just again, acknowledging each other’s presence and saying thank you, and “I love that you’re home.” Maybe you’re cooking together, or whatever that is. Just really acknowledging each other. I think we all know what that is, when we look at it, when we acknowledge each other or we don’t. But that’s … you’re so right. 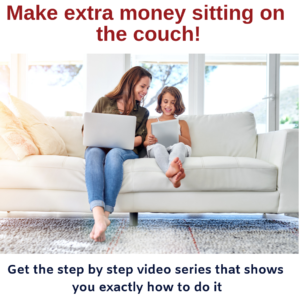 It’s number one you can go to, and it’s so important because the kids feel like, “Okay, there’s mommy daddy time,” or whatever your family situation is, and they will learn to appreciate that because why? We will set boundaries around that what is important, is worth protecting, and that lesson is equally applicable to the children who, if they have something important, it’s worth protecting. Lisa Linfield: 00:59:17 Absolutely, and at the end of the day, I think most children, one of their first needs, or one of their first wants, is that their parents have a strong and great marriage, and I think by putting our children first all the time, we think that that’s providing all of their absolute needs, but we forget that in actual fact, their first need is for us to love each other. Because that’s their security and stability, and everything else comes after that. Julia Pappas: 00:59:47 And I think we can also put that in terms of a metaphor. It’s important to get our kiddo places, but we’re not going to put them in the driver’s seat and drive the car, right? Drive where all of this goes. We decide where we go, who drives, when are the stops, and all those things. So for the child, their primary need is safety and predictability, and when there’s emotional stability in the home, that is the baseline for everything else to be put on top of. So there’s no emotional stability, it doesn’t matter how many places the child goes, how many gifts the child is getting. Because I see that a lot when we’re trying to buy back the time where the quality and the emotional energy of the house, we’re trying to buy it back by giving the children gifts. If you’ve observed children who are not happy, it’s not because they don’t have tangible things. It’s because relationship-wise, they don’t feel visible. They don’t feel like other people in the home are visible, so that is a very unsafe emotionally place for the child because if they don’t see that people belong to each other, they don’t acquire the sense of belonging in the world. Lisa Linfield: 01:01:01 And it comes back to the values and the needs and the boundaries. Julia Pappas: 01:01:05 Yes, absolutely. Yeah. And you know, where we started this conversation was social media, technology, all that stuff, you know. If we can really communicate to our children, what is the way to connect with the world, and we model it, they’re not going to be looking for those things online, which again, whatever they find there, is going to be superficial. Lisa Linfield: 01:01:29 Yeah, definitely, and definitely not necessarily the role models we’d like for our children. Julia Pappas: 01:01:35 Mm-hmm (affirmative), yeah. And again, if we are remembering that no matter what we do, if we’re in alignment with our own values, we will feel strong in what we’re doing. We will feel confident in our choices. And it doesn’t matter how the child may perceive that or challenge it, we will always find a way to explain what’s happening, what is important, and how the child’s needs are still being met within that. So if we are modeling taking care of ourselves, modeling that emotional self-care, then our children will also know how to pay attention to their kind of emotional state, become emotionally aware. Because again, when we get to teen years, where there is all this group dynamics going on, and teens can influence each other in not very helpful ways, if you know what I’m saying. They need to realize, our children need to realize what is their experience and what is their feelings, and when is it okay to be part of the group dynamic and the group pressure, and when it’s not okay and step away from that, and not feel guilty. Right? Here we go. Guilt as a teenager, not to be part of a group dynamic because they will know that this emotionally is not feeding them. Being online and doing social media and whatever, ultimately leaves them empty after an hour without kind of quick fixes. It just burns you through. Lisa Linfield: 01:03:01 And I think it’s important for us as adults to remember that, because if you think of wasting an hour on social media, which all of us can do. We can all waste an hour on social media catching up with Facebook and Instagram and even if it’s just old-fashioned emails and this and that. If you think about it at the end of the hour, and you look back and you think, I don’t feel any better or worse because I know that so and so had a really good meal at a nice restaurant. You’re catching up on what Donald Trump’s recently done. None of it probably is as good for us as taking a walk in a park, or catching up with our husband, or even just having a bath by ourselves. Julia Pappas: 01:03:41 Yeah, whatever you do. Every one of us, if we just sit down and explore what draws our attention. What is it if we had all the time in the world right now, what would we be doing? That usually will point in the direction of something we may want to explore. Let’s say, maybe somebody would be gardening or exploring different recipes or start sewing or knitting, or whatever that is, you know? So why not incorporate pieces of that a little bit at a time, if that feeds your soul. I think we somehow feel like all we do is provide for the family, but we’re not allowed to provide for ourselves. We have to. We have to. I’m still trying to figure out where that came from, that we don’t have any need as a parent. We’re just in service of our children’s needs, but we honestly have to stop that. Lisa Linfield: 01:04:31 Absolutely. Absolutely. Julia, it’s been just such a privilege to spend this time with you. I know that I myself am walking away feeling far less guilty than I think I came into the conversation. Julia Pappas: 01:04:45 Oh good. Lisa Linfield: 01:04:45 Because the last two and a half weeks have been really challenging. For all of the listeners out there, how do they get to hear more about all of these concepts? Julia Pappas: 01:04:55 Yes, because I know we cannot cover everything within an hour. Lisa Linfield: 01:04:58 No, definitely not. Julia Pappas: 01:05:01 Yes, so you mentioned the podcast earlier on, so I do have a podcast, and the name of the podcast is The Minimum Viable Parenting, and that’s actually a website as well, so it’s minimumviableparenting.com. If people would like to hear more about this framework, and how it applies to parenting, that’s where you can get it. That’s where the podcast is hosted, and there’s more about me there as well. Lisa Linfield: 01:05:26 Thank you so much, Julia for giving us your time and your expertise, and such a great framework to think about so many things, and I’ve listened to most of the podcasts, but I think I’m going to re-listen to the one on parent burnout, so thank you [crosstalk 01:05:41]. Julia Pappas: 01:05:41 There’s [crosstalk 01:05:41] more there. Yes, thank you for having me. Lisa Linfield: 01:05:44 That was Julia Pappas from Minimum Viable Parenting. Goodness, I don’t know about you, but i think I’m going to need to listen to that episode a few times just to grasp how many great concepts there were. You know being a working mom is hugely fulfilling because being a mom is fulfilling, and your work is fulfilling, but it does take its toll on us because we are only one human being with so many different demands. So I hope that you will all take her advice on parent burnout, and go and find some time to do the things that fill you up, fill you with energy, and keep you active and loved and lots of laughter and fun. I’m Lisa Linfield, and this is Working Women’s Wealth. Please do rate our podcast and leave us a review, because it really does make a difference in getting other people to see the podcast. Take care, bye.